Happy Friday! 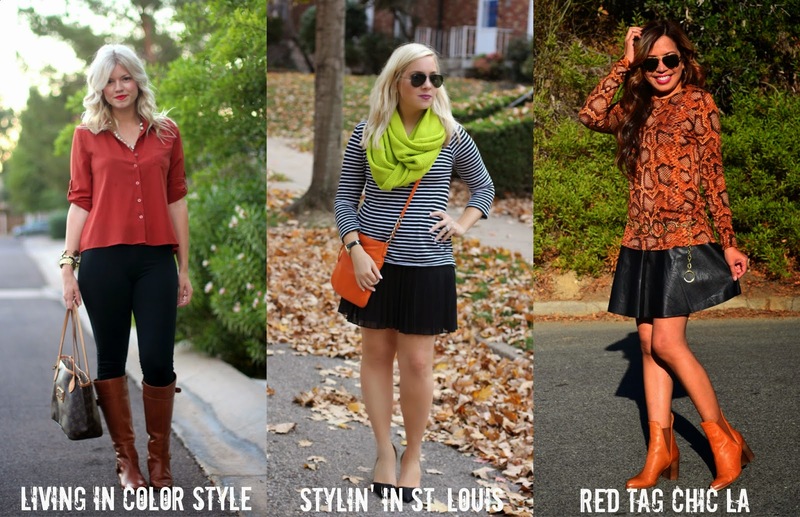 Today, I’ve teamed up with Jacqueline of Stylin’ in St. Louis and Jacy of Love, Lenore again to bring to you post #2 of our Mizzou Style Series! Whether you’re a Tigers fan or another college team lover, you can cheer on your favorite football team in style! 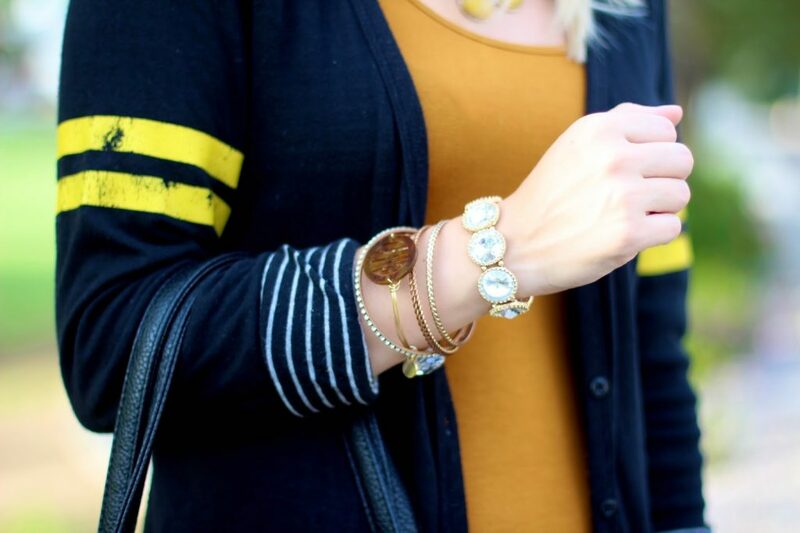 Sure, wearing a jersey is fun and festive every once in a while, but black & gold (or any college colors) can be styled in a super chic way too! 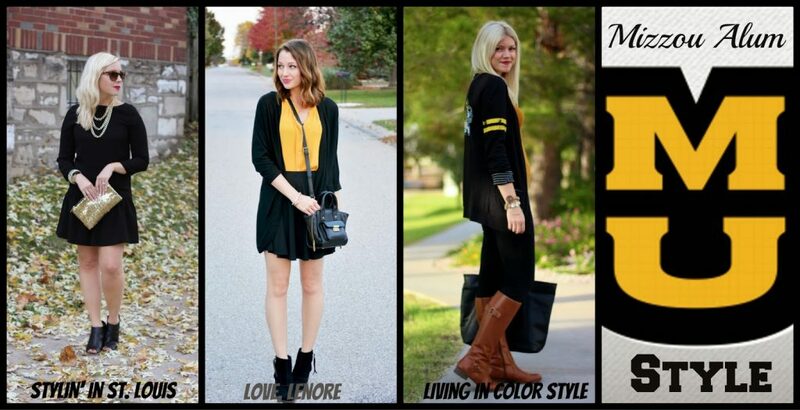 See all of our outfits above for some fun, flirty college football style ideas! love those boots and your outfit in general!!! Love the stripes in the sweater and again on the bag! I like your cardigan and boots very much! You look great! 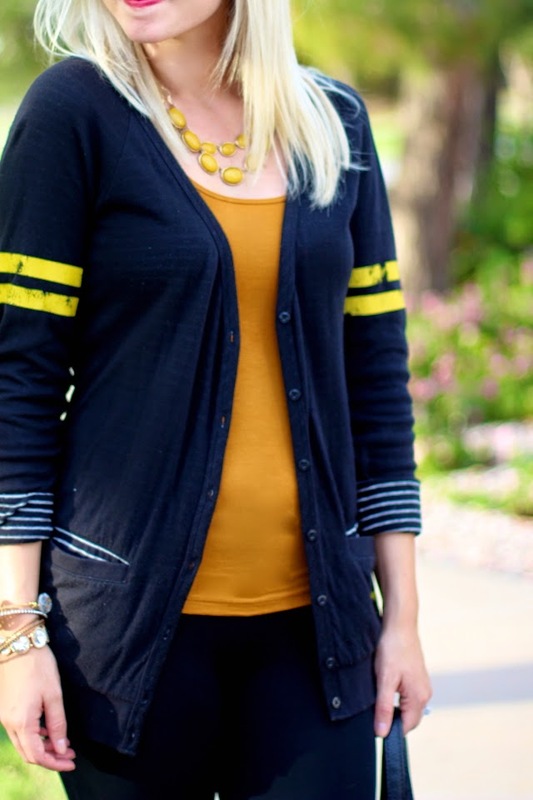 Adorable cardigan! Such a fabulous combo and you look super fierce. Love it! Happy Halloweekend! Really fun outfit! I especially love the accessories. Very nice!